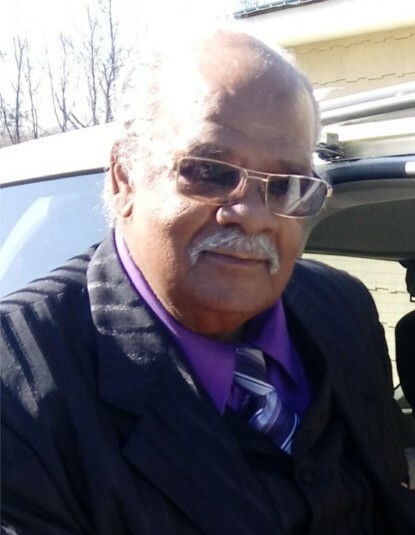 Oliver Lincoln “Francisco” Farara was born on January 18, 1945 in St. Kitts, Virgin Island and entered into eternal rest on March 25, 2019 in Monroe, North Carolina. He was formally educated by the St. Kitts, Virgin Island Grammar school, then went on to the local Community College after joining the police force where he served and protected the community for nearly three years. He was preceded in death by his parents: Annetta B. Farara-Carter and Peter James Carter; siblings: Veronica Mims, Emanuel Gums, and Leroy Carter. Lincoln leaves his loving memories to be cherished by his beloved wife: Frances C. Farara of the home; children: Dimitrius Farara of Pageland, South Carolina, Oliver Farara (Addie) of Deltona, Florida, Clement Hicks-Farara (Sandra) of St. Kitts, Virgin Island, Shanice Farara of Charlotte, North Carolina, Desiree Farara of Wingate North Carolina, Sammantha Jenkins (Willie) of Moncks Corner, South Carolina, Bridena Collins (Torance) of Summerville, South Carolina, Cassandra Sturdivant of Monroe, North Carolina, Lorna Richardson-Francis (Cecil) of St. Kitts, Virgin Island, and Jaqueline McCleave (England); step-daughter: Arthania Y. Jackson of Walterboro South Carolina; sister: Theodora Delaney of St. Kitts, Virgin Island; his favorite cousins: Delrose James of Montserrat and Rosetta Watts of St. Croix, Virgin Island; three brother-in-laws: Samuel Chambers (Monica) of Plainfield IL, Julius Chambers (Sheila) of Stone Mountain Georgia, and Marvin Chambers of Marshville North Carolina; two sister-in-laws: Margaret Witherspoon of Charlotte North Carolina, and Mae Rheubottom of Brooklyn New York. He also leaves behind twenty-two grandchildren, several great-grandchildren, and a host of nieces, nephews and friends.